My name is Jen Stabile, and I currently serve as the Director of Conservation at the San Antonio Zoo in the US. In many ways, I feel I am living the dream! I grew up in Queens, New York, USA, where my parents took us to the Bronx Zoo often. Those visits fostered an appreciation for animals. As a little girl, I would grab my National Geographic magazine and pretend to be “on assignment” in some foreign land, writing about animals. After moving to Florida in the 90s, my fascination with herpetofauna developed, with my first pets being wild-caught (and likely invasive) turtles and anoles. I think creating a sense of stewardship for the environment and its species is key to the survival of our global biodiversity. We need to initiate that spark. I began my zoo career in my early twenties, as a docent at the Central Florida Zoo, and then moved onto an internship with the Department of Herpetology under Nick Clark and Fred Antonio. At that time, I was also interning with Carl Barden at Medtoxin Venom Laboratories. These experiences changed my life, and I am fortunate to have begun my career with such amazing mentors and teachers. Shortly into my internship, a position opened within the Department of Herpetology and I applied, although, I did not think I had a shot. The morning Fred offered me the position as Reptile Keeper is still the happiest day of my life. Most of my duties were taking care of the department’s invertebrates and a small amphibian collection. I wanted to learn more about the natural history of amphibians, so on my weekends I began working with a Florida biologist that I met at my first International Herpetological Symposium, Ray Ashton, from Ashton Biodiversity Research & Preservation Institute. Ray taught me how to find amphibians in the wild, and how to pay attention to habitats. As Ray’s research assistant, I developed a skill set in trans-relocation efforts, specifically concerning the gopher tortoise (Gopherus polyphemus). I also developed an appreciation for aquatic amphibians, working often with Water Dogs (Necturus sp.) and Dwarf Siren (Pseudobranchus sp.). The Central Florida Zoo hosted an annual Latin festival, which never did as well as expected. We were tasked with opening an exhibit during the festival that would help spread the word, and bring guests through the door. The Orlando area has a robust Puerto Rican population; with the dynamic leadership of our then CEO, Joe Montisano, we decided on a little brown frog called a coqui. My amphibian experience was limited at the time, and I was tasked as their caretaker. We obtained a group of the Common Coqui (Eleutherodactylus coqui) from Hawaii where they are invasive. I can recall the first time I heard them chorus, after misting them one evening in quarantine. They throw their voices, and I initially thought a bird had gotten into the room. From that moment on, I was hooked. Needless to say, the festival was extremely successful with the opening of the coqui exhibit, the icon of Puerto Rico, boasting an 800% increase in attendance! The history and culture between the relationship of the frog and its people is captivating. News of the festival’s success reached Puerto Rico, and I was soon contacted by a special professor at the University of Puerto Rico, Dr. Rafael Joglar. Rafael and I began what was to become a long term partnership, combining efforts and strengths, to preserve the coqui frog of Puerto Rico through captive colonies, staff exchange opportunities, and education and outreach. 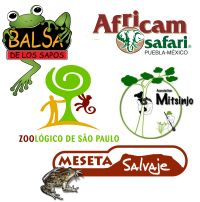 To date, we have worked with nine of the seventeen species of coqui in captivity, and have successfully reproduced five species. Our greatest success in captive reproduction is with the Mona Island Coqui (Eleutherodactylus monensis), having bred to the F2 generation. We are currently working on exploring the captive needs and breeding protocols for the Bronze Coqui (Eleutherodactylus richmondi). After attending the AZA/AARK Amphibian Biology, Conservation, and Management course, I felt I had the necessary tools I needed to create and construct an amphibian building. In 2009, the Central Florida Zoo opened “Florida’s Amazing Amphibians”, highlighting seventeen species of frogs, toads, and salamanders native to the state of Florida. The building was a huge success, thanks to friends such as aquatics guru Tim Walsh and the artistic genius of Eric McCarty, who volunteered much of their time to completion. We also implemented two isolated labs, dedicated to the captive reproduction for repatriation efforts of the Striped Newt (Notophthalmus perstriatus) as well as maintaining breeding colonies of Southern Dwarf Siren (Psuedobranchus axanthus) and several species of critical coqui. Working closely with amphibians means understanding potential pathogens and biosecurity. That same year, I began working with the Florida Wildlife Commission Research Institute (FWCRI) on emerging amphibian pathogens throughout the state of Florida. This four-year contract allowed me to work in the field with friends from the FWCRI labs, Dr. Jan Landsberg, Meredith Zahara, and Yasu Kiru, throughout Florida, studying the presence and prevalence of several amphibian pathogens. 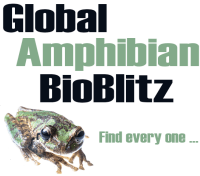 We shared great adventures, and uncovered some good information concerning the amphibian chytrid fungus, ranavirus, and protozoa affecting local populations. Around this time, I accepted a position at the ABQ BioPark Zoo (in Albuquerque, New Mexico, USA), to assist in the development and construction of the zoo’s amphibian building and conservation lab, “Life on a Limb”. While I was there, I met state herpetologist Charlie Painter, and began working with him on tracking amphibian pathogens found in New Mexico. I collaborated with Project SNAP, a group I first learned of during the AZA/AARK amphibian course I took years earlier, to develop a mural for the amphibian building. The mural incorporated ~7,000 students from New Mexico, each producing a painted tile depicting what amphibians mean to them. The tiles come together to create the mural, or big picture, of amphibian conservation. 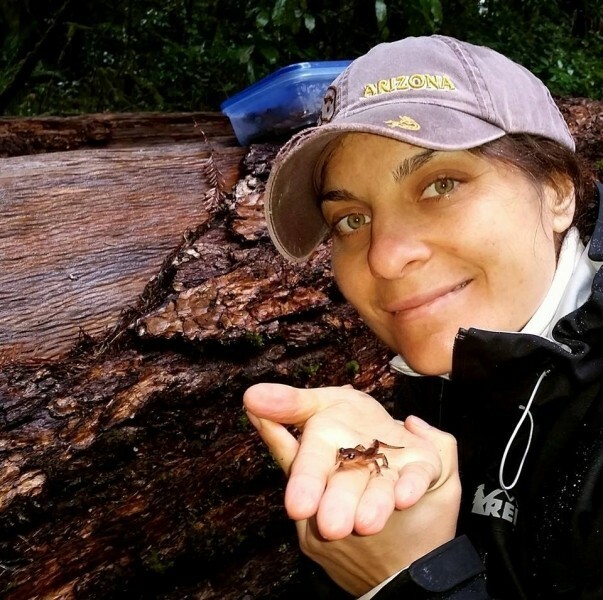 I am fortunate to have been able to continue my work with the captive conservation and outreach of the coqui frogs and Proyecto Coqui during my time in New Mexico, and now here in Texas. It is a program I hope to always remain close to, and my goal is to one day see these frogs returned to their native island through reintroduction programs. In my current position, I assist with the construction and implementation of the Research and Conservation Center for the San Antonio Zoo. Through partnership efforts with Dr. Rick Kline at the University of Texas and colleagues at the Gladys Porter Zoo, I am working on the assessment of relative abundance for the Black-spotted Newt (Notophthalmus meridionalis) in Texas and in Mexico. I stay involved with emerging pathogen prevalence, taking samples in historic newt habitats. I have recently accepted a role as editor of the conservation section of Herpetological Review, so please be thinking about sending me the story of your work! I now serve as Secretary for the International Herpetological Symposium, and I cannot stress enough how important it is to get out and communicate in person with colleagues through these types of venues. There are many dedicated heroes in the field of conservation; the programs they lead are helping pave the path towards a solution to protect the world’s amphibian diversity. Veja a nossa gama de camisolas de manga comprida, curta e de capuz, chapéus e canecas!